His main interest in family law is ancillary relief/financial provision following divorce, separation or ending of a civil partnership. He has great experience of such disputes from the complex cases involving family business, land (including farms), concealment of assets, assets out of the jurisdiction and pensions to the more modest asset case where fairness is often a far trickier solution to find than in the high worth type case. He also has an interest in TOLATA claims and applications under Schedule 1. Omar has great experience of dealing with Care cases, primarily for parents but has also represented various Local Authorities and represented the Child Guardian. His cases have ranged from the neglect type case to those involving non-accidental injuries and physical/sexual abuse of children. Omar also undertakes private law children cases involving the whole range of such applications that can be brought before the court. 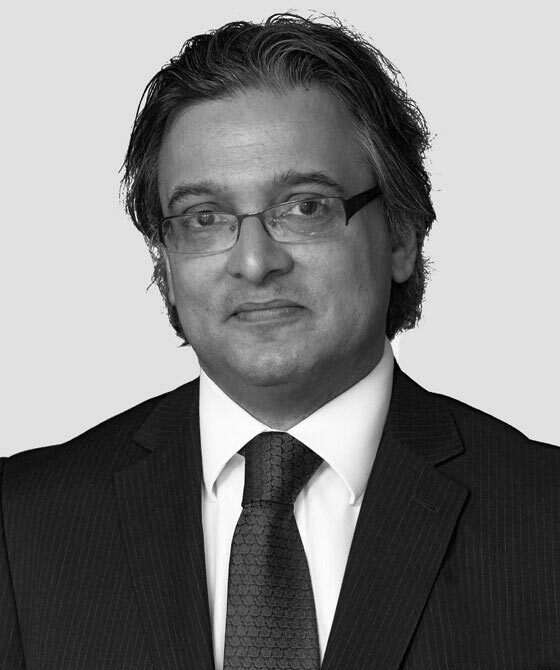 Omar also has a real interest in Hague Convention cases and the development of this fascinating area of family law. Acted for Husband in Ancillary Relief proceedings. Great dispute between the parties over the valuation of land held in Husbands name in India. Court ordering joint report on valuation of the land and also a legal opinion on his ability to sell his share and repatriate those monies out of India. Acted for Wife in AR proceedings. She had been acting in person (other parties represented) until a week before the 1 day hearing listed to hear the Intervenors (Husbands mother) application seeking to claim a large percentage of the FMH. Case settled on Day 2 following heavy indication from the Judge that the Intervenor had real difficulties in evidencing a large part of her claim. Acted for Husband in AR proceedings. Fairly modest asset case but complicated by one of the major assets being a property in Crete. Parties wanting to settle but concerns around sale costs/taxes possibly payable and any other interests that might attach to the land. Further evidence required on these points before settlement could be reached. The evidence produced from Crete showed there were costs/tax implications for a sale that the parties had been unaware of at FDA. Acted for Wife in Final AR hearing. 20 year marriage but, following evidence, DJ ordered a significant departure from equality in Wife's favour due to Husbands conduct and also ordered Husband to contribute to Wife's costs. Acted for Wife in Final AR hearing. 17 year marriage with 3 children under the age of 18. Husband acted in person and arguing his parents had put in £20,000 to FMH and Wife should not be credited with any reduction of the mortgage if FMH transferred to her with charge to him. DJ rejecting his argument and, in particular, agreeing with Wife that she should be credited with any capital reduction of the mortgage. Acted for Husband in AR proceedings. Husband a Kuwaiti national and Wife was English. Husband failed to comply with requirement to file his Form E or provide any financial information. Issues involved service of orders on Husband, penal notice requirements and ability to enforce any orders in Kuwait. Acted for Maternal Grandparents in Care proceedings. They were seeking to have 3 children placed with them. This was not supported by the Local Authority or the Guardian. By Day 7, Guardian changed her position to recommend the Grandparents should be further assessed. This was then supported by the LA. Further assessment was successful and all 3 children placed with them. Acted for the Applicant Wife 1 (married according to Sikh culture but not legally as far as English law was concerned) in a case that started in late 2009. Trial Judge, in the High Court, described it as one of the most complicated factual cases he had ever dealt with. NYAS also involved. The case actually involved the 5 children of the Husband and Wife 2, one of whom had been legally adopted by the Applicant as the parties continued to live together. Of the 5 children in dispute, 3 were removed by the Applicant to her adult daughters (from the Husband) home in the north of England following an assault on her by Husband. The 2 youngest children remained with their parents in the south. Following a heavily contested Fact Find hearing (including video evidence from another adult child in Canada) lasting 10 days, the majority of allegations were found against the Husband as well as findings of an illegal adoption and illegal divorce of his second wife. Following these findings, Applicant obtained a costs order against the Husband of £28,000 (both Applicant and Husband privately paying). Court of Appeal refused Husband permission to appeal. Despite the Fact Find, Residence still disputed and an order made confirming Residence to the Applicant plus injunction order in her favour and an order for no contact . Care proceedings were commenced in relation to the 2 children still with their parents in the south. Those proceedings led to the 2 youngest children being placed with the Applicant. Acted for a German mother seeking leave to permanently remove the child to Germany. Leave was granted. Acted for a Japanese mother seeking leave to permanently remove the children to Japan. Listed for 3 days. Issues involving the problems of mirror orders etc in Japan and also evidence heard on the impact of the Fukushima nuclear reactor disaster and any concerns raised as a result to the application. Leave was granted. The Court of Appeal refused to give permission to appeal. Omar is recommended by the Legal 500 Bar Directory 2017 for his expertise in the Regional Bar - Western Circuit. Legal 500 Bar Directory 2016, Regional Bar - Western Circuit. Legal 500 Bar Directory 2015, Regional Bar - Western Circuit.